So it's official I'm on vacation! Or maybe more of a staycation because we don't plan on going anywhere. Just sticking around home and relaxing, doing things we don't get a lot of time to do. Maybe even have a date night or two?!? I plan on doing some baking as I have a couple new books I am reviewing and would love to try a lot of new recipes from them. Also do some crafts with the kids and have a couple play dates, the usual but with more time to spend with them. No rushing off to work and coming home late. I can relax in the evenings with a nice warm blanket and a book. Maybe I will even get more time to blog! I'm very excited and have great hopes for my blog in 2011. 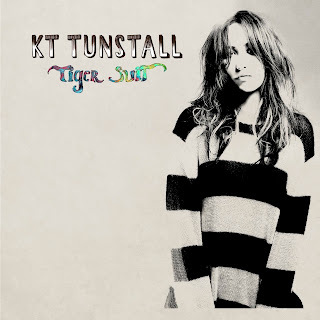 I would really love to make my own background, header and button. I will have to load up my old photoshop and get to work. Can you really believe we are almost done 2010? Two more months! I think this year I will make a new years resolution and work towards it. And now to sneak in a cute photo of Abby dressed as a witch! For the last two years all I have had was a basic $50 flip cell phone, with a monthly plan of less than $35. I decided to treat myself to the great iPhone! Well I'm really thinking I should have left it where it was. This has been nothing but problems. My account is soo messed up they don't even know what is going on at the cell company. They are looking into it but I've heard this before. Don't get me wrong. 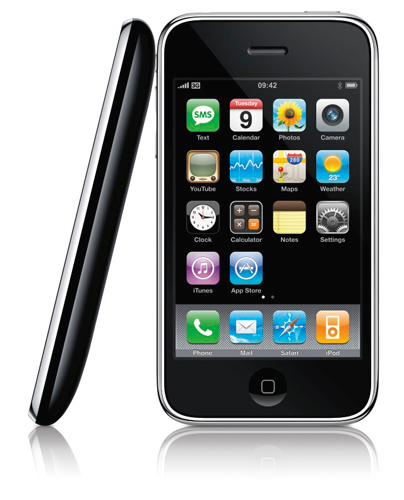 I love the phone itself just not the hassle of the cell company. I'm to the point when this gets worked out I may just take my business elsewhere. Any company would be just as good. I just didn't want to sign into a contract for three years. Which provider are you with? Do you have a recommendation? I really just wanted the darn phone, I guess things really do happen for a reason but this I have no idea what the reason is for. Maybe I was not suppose to have an iPhone in the first place. It would save me money. I have been so good at not spending for the last two years and getting us in a great spot but this may have just blown all my hard work. The cell company I swear has idiots working for them. They have charged me multiple times and at one point my account was owing $1000! Which of course I didn't really owe. I have paid for the initial payment of the phone and their dumb deposit. Now the only thing should be the monthly bill.. How come they can't get that right? I will keep you all posted on what happens, now I'm to wait 7-8 business days for them to look into this mess and figure it all out. If I don't hear back, I've been told to call them back yet AGAIN and call them on the mistakes. Really?!? I've already spend about 10 hrs dealing with this cell phone company and I work full time, part time and have a family, also I am trying to spend more time focused on my blogging. There are not enough hours in the day to get all that done let alone spend an hour or more on the phone repeating myself to many different people at the cell phone company! The winner for the Simulated Diamond Earrings is Janice! Congratulations!! October is breast cancer awareness month. Take a look at this great video, Treasure Your Chest, to learn more about breast cancer awareness. Please share this video with all the women in your life and let's pledge together to take the time to preform a breast exam regularly. I know we are a couple month's into school already but it's never too late to learn about great labels for our children's clothes. I did a post previously about Oliver's labels and their affiliate program. This time I have had the chance to try them out with my son's school clothes. Oliver’s Labels is a Canadian based company out of Toronto! They sell Clothing labels, Waterproof labels , Safety bands, Bag tags, Shoe labels, Photo labels and Kosher Kitchen Labels. They are available separately or in a package – Starter, Preschool, Clothing, School and Camp. Available in Many prints also. Have you ever had your children come home with out an article of clothing that they went to school with? Maybe a sweater or their water bottle? Oliver's Labels has a unique feature. It 's called the Found-it Tracking System. It’s a unique number added to your labels that connects the article to you when lost. If the article is found the person who found it is directed to follow a link and then prompted to enter the unique number. Which then in return Oliver’s Labels will match you to your Found-it tracking system code and send you a notification email. Oliver’s Labels acts as an intermediary between you and the finder so you never have to share any of your personal information but still get your item back! As a great gift you can also purchase Gift cards from Oliver's Labels! Review: My son was very excited to see his new "stickers" when they arrived in the mail. We had a lot of fun putting his new "Stickers" on all of his belongings that go to school. Parker chose the transportation labels himself and we received some original and mini labels, shoe labels and stick-eez labels. The designs are fun and very bright. There are a ton of different designs, fonts and colors to choose from, along with ones that have allergy symbols for children with allergies to anything from Nuts to Seafood. When I mentioned to Parker to get his coat away he went to find ALL things he could label or in his words "stick" his stickers on. His coat, hat, backpack, lunch bag, juice containers and shoes were first in line. They are very easy to use that my son who is 4 1/2 yrs old could stick them on his stuff by himself. I did help him even though he told me he could do it alone. The labels need to be pressed firmly in place. In my sons words "these are really awesome". They seem to stick well even after being washed. I will have to update at the end of the school year how they hold up but for now they have been good. 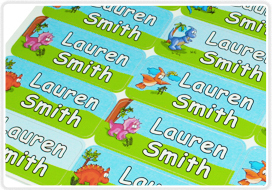 Parker was very excited to go to school and show his friends his new name stickers. I will be purchasing some for both my children next year. Buy: Check out Oliver's Labels to purchase your labels with or without the Found-it code and receive free shipping on orders of $30 or more to any where in Canada or the US! 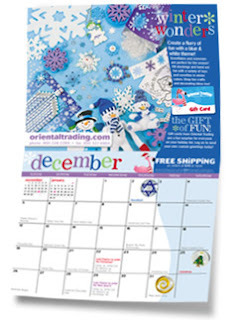 Thanks Buget Savvy Diva for the heads up on a great freebie through Oriental Trading Company. They are offering a great craft calendar for 2011 for free to residents of the US and Canada! Just hop on over to Oriental Trading Company to get your today! How does winning groceries for a month? or a year? Right now Maple Leaf has a great giveaway going on. For 56 days straight, you could instantly win a month of FREE food shopping! Enter daily and you could even walk away with groceries for a year! All you have to do is head over to Maple Leaf's website and enter to win!! I had the opportunity to try a new line from Burt's Bees called Anti-Blemish. I tried the daily cleaners and the spot treatment. These are the first and only all natural anti-blemish solution available. It is made with Willow Bark Extract. Along with Evening Primrose and Beet Root Extracts all these natural ingredients help care for troubled skin resulting in clear and healthy-looking skin, naturally. Review: Of course when I got the chance to try this amazing anti-blemish solution I only had a few small breakouts! I will say it was a great cleanser and left my face feeling really clean. 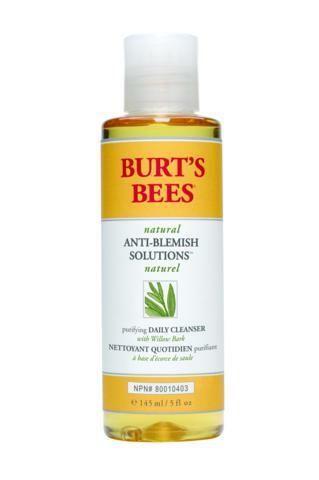 It helped with my small pimples for sure leaving it clear. My husband tried it also on a big pimple and it helped it go away in a few days. I am very satisfied with this product and will continue to use it regularly. Commute... Yes, I do. I commute an hour to work and an hour back from work on a good day, Monday to Friday. On a busy or snowy day it can take me an hour and a half or more. What do I do on my commute... I usually listen to music, think about blog posts, work or home life, things that need to get done or things I want to do. On the way home it's a great way to unwind if it's been a hectic crazy shift. Now that it's fall I've been trying to take in all the nice fall colors on my way to work. I always wish I had a camera and extra time to stop and take pictures. Maybe I will try and do that this week. What about my reader's do you communte? and what do you do or think about when you commute? 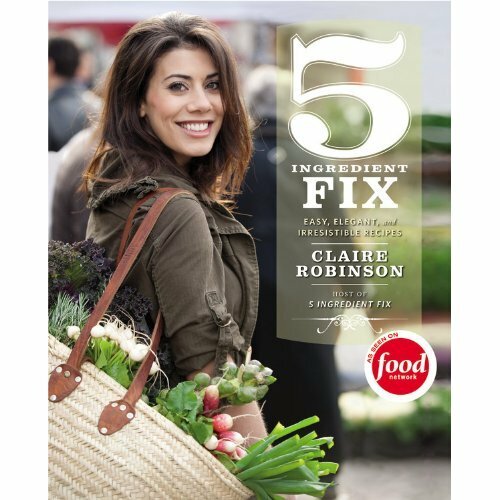 Claire Robinson is the host of Food Network''s 5 Ingredient Fix and the daily prime time series Food Network Challenge. Claire cites her French-speaking grandmother as a major influence on her love for food. Claire graduated from the French Culinary Institute, is an accomplished private chef, and has worked on culinary production teams for several cooking series, including Food Network''s Easy Entertaining with Michael Chiarello. When I received 5 Ingredient Fix I immediately started flipping through the pages. I love cook books with few ingredients and quick cooking time since we are very busy family. This cook book is organized into categories from Breakfast, Drinks to Main course and Sides. There is a letter to Claire's readers along with a list of pantry/kitchen staples. I haven't had the chance to try out much just the Brown Butter Banana Muffins. I forgot to take pictures while baking them since it was early but I can't really take a picture of the end product since there are only a few left. I will have to make them again! They turned out great along with smelling up the house! Yummy. I can't wait to try some of the main course stuff, looks easy and good. I will review recipes from this book I'm sure as I go through it :) This is definitely a cook book of elegance and not everyday food for my house but I really enjoyed it just the same. I know we will try a lot of the recipes for our "special" dinner nights for DH and I. Maybe we will get more of those in the future. It is never to early to start reading a beautiful Christmas book like this. I was given the opportunity to review this book for BookSneeze blogger program. 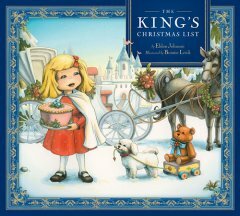 The King's Christmas List is a children's book written by Eldon Johnson and illustrated by Bonnie Leick. It's a about a little girl named Emma and her dog named Shu Shu. Emma and Shu-Shu are invited to a birthday party for the King. Emma decides to bring a cake that her mother and her baked as a present for the king. Emma wears her new Christmas cape and brings her favorite teddy bear name Cherry-Bear, but through a series of events, she reaches the King empty handed. Emma learns the true meaning of Christmas from the King. This Christmas book is great for all ages. 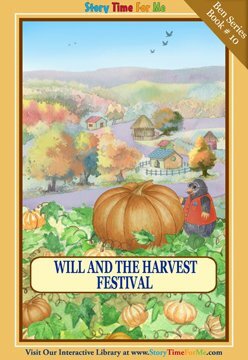 Review: The first time I read it to my children (ages 4 and a half and 3), they loved the beautiful pictures and the characters in the book. They sat very quiet looking at all the pictures and listening to the story as it went on. We have read it a few times since and they still enjoy it just as much as the first time. This is a great book to teach children the true meaning of Christmas and god's gifts. I'm not really religious but really enjoyed reading this book to my children. The pictures in this book are greatly detailed and the colors are very soft. It is illustrated so everyone young or old can enjoy this book and the King's message about Christmas. Helping people in need is the greatest gift to the king! Children start using the computer so early these days. I love finding really great sites that I don't mind them on and they can navigate through easily. My son doesn't like help when he is on the computer so easy navigation is a big thing. My children love to read and my son loves the computer. So when I had the chance to review some books at Story Time for Me I was thrilled. STORY TIME FOR ME is a unique literary website designed specifically for toddlers and children in early elementary school, allowing them to read and listen to enjoyable, online interactive picture books. We also offer a one-of-a-kind animated personalized book. The books range for ages 1-8. When the narrator is reading the words are highlighted on the screen for the children to follow along. Both my children enjoyed these books a lot. My son who was able to navigate easily through the site loved that he could choose which one he wanted to listen to next. He says his favorite story is Ben's Halloween because he can't wait for Halloween. My daughter loved reading them all! I love all the different themes to choose and learn from. Each book gives the reader a lesson - Life Lessons, Courage, Friendship, Holidays, Overcoming Obstacles, Helping Others and more. Register at Story Time for Me choose your books, then you go to your library to read your books. There are 3 different characters to choose from and over 50 books. The 3 characters are Ben the mouse, Fern the fox or Flame the dragon. The books are also different levels of reading based on the age of your children, ages 1-4 or 4-8. How to Buy: You can purchase these books at Story Time for Me. Continue to read here to find out how to receive books for FREE! Giveaway: All my readers can win with Story Time for Me! Story Time for Me is giving away 2 Free books to all my readers. All you do is register which takes about 15 seconds, use coupon code 4j9Cn3m8 then pick out your 2 free books! If you would like to receive more Free books you can earn more by referring friends, but they need to register for their free books for you to earn 10 more stories! 1) Refer 5 friends or relatives that have kids ages 1-8 that would also enjoy 2 free books. 2) 'like' Story Time For Me FB fan page here. 3) make a FB post on your wall encouraging your friends to check out Story Time For Me and to take advantage of the 2 free stories. 4) Then send Andrew Gitt a private message on his facebook here telling him the full name and email of the friends that signed up. Don't forget to give him your own full name and email. I was contacted by DiamondEarrings.org about receiving a sample of their Simulated Diamond Stud Earrings for review and giveaway! DiamondEarrings.org are promoting their website by offering Free earrings if you spread the word on the web somewhere, Twitter, Facebook, blogging etc. then all they ask is for you to pay $3.77 postage and handling to receive a pair of earrings. My pair of earrings arrived pretty fast but my only complaint is that the box got crushed. Other than that, I received a beautiful pair of Simulated Diamond Stud Earrings. I have contacted Chris at DiamondEarrings.org and I could return the pair for another if I wanted a new box. Not a big deal for me but if it was a gift I would have exchanged them. I am very impressed with the quality of the earrings even though I was a bit worried my ears wouldn't like them. So far I've been wearing them a week (taking them off for showering) and my ears do not mind them. I have had numerous comments about them and how sparkly they are. My husband even mention that when we were laying in bed one night! They are not too big, just the right size. They would make a great gift for the holidays. Where to Buy: Visit DiamondEarrings.org to purchase your own pair for the price of shipping and handling ($3.77)! Win! 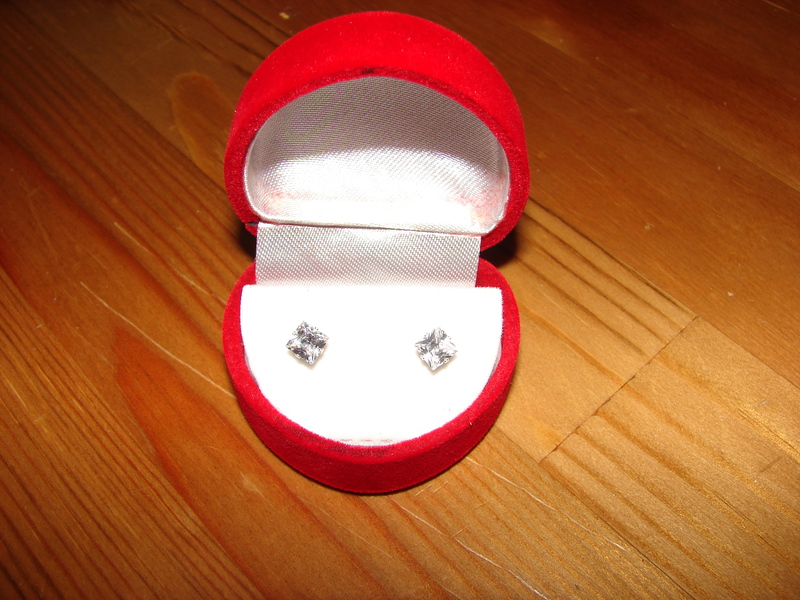 : DiamondEarrings.org is giving one lucky Canadian Coupon Mom a pair of Simulated Diamond Stud Earrings. Mandatory Entry: Follow my blog via Email subscribtion and let me know if you would keep them for you or give them as a gift with the holidays coming up. Please put one comment for each entry, example Follow me on twitter is 2 seperate comments. Thanks! 1. Follow Canadian Coupon Mom on Twitter (2 entries) and tweet (1 entry per tweet - 1 tweet per day) Make sure to add @couponmomcanada in the tweet. Thanks! This giveaway is open to US and Canada. This giveaway ends on October 23rd at Midnight EST. One winner will be chosen by Random.org on October 24th,2010 and notified by e-mail. Please respond within 48 hours or a new winner will be selected. Good Luck! Disclaimer: Thanks to DiamondEarrings.org for sending me the featured product for review purpose. I was not monetarily compensated for this review. All opinions expressed here are entirely my own.